2. What Is the Maximum Dependent Care Deduction? 3. If I Didn't File My Taxes Will I Get My Child Tax Benefits? A tax refund is what you receive if, after reporting all your income and adding up all your deductions and credits, you overpaid your taxes during the year. 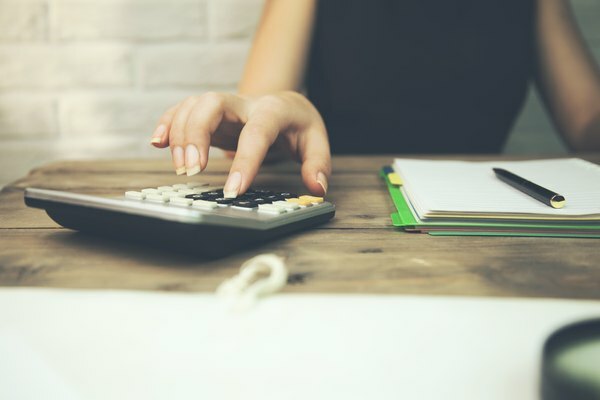 Filing taxes with no income or when you don't work may still yield a refund, as your income from other sources may have been taxed during the year, and because certain tax credits are refundable credits, even to people who had no income. Retirees and others who don't work but collect income from other sources may receive tax refunds. If you have no income, you're unlikely to get a refund, as you probably don't file taxes and refundable tax credits generally are only available to people who earn income. If you're unemployed and unemployment benefits were your sole source of income for the tax year, you probably don't qualify for tax credits, but you could still get a refund if you file a return and your deductions lower your income enough that you overpaid your taxes. After the tax year ends on December 31, you have until mid-April to file your tax return, which is the form you submit to the IRS to report all your income, all the taxes you paid and all your deductions and credits for that tax year. For example, the tax return you file in April 2019 will be for the 2018 tax year, and everything you report for income and taxes will be for what you earned and paid in 2018. If your taxes are taken out of your paycheck or if you make quarterly payments to the IRS, you'll report those payments on your return. If your return shows that you paid too much after adding up all your income and subtracting all the taxes you paid, that amount you overpaid will be returned to you, and that is your tax refund. 10 percent of the first $9,525 in income. 12 percent of all income between $9,525 and $38,700. 22 percent of all income between $38,700 and $82,500. 24 percent of all income between $82,500 and $157,500. 32 percent of all income between $157,500 and $200,000. 35 percent of all income between $200,000 and $500,000. 37 percent on all income over $500,000. If you're single and you make $100,000, you're in the 24 percent tax bracket. All your income up to $9,525 per year will be taxed at 10 percent ($952.50); your income after $9,525 but up to $38,700 (a total of $29,175) will be taxed at 12 percent ($3,501); your income after $38,700 but up to $82,500 (a total of $43,800) will be taxed at 22 percent ($9,636) while the remaining $17,500 of your income will be taxed at 24 percent ($4,200) for a total tax of $18,289.50. Tax deductions reduce your taxable income so that your tax bill is lower. Deductions can be for things like depreciation, mortgage interest paid, charitable donations and other expenses you pay throughout the year if you itemize your deductions; if you choose not to itemize, you can use the standard deduction, which for 2018 is $12,000 for a single taxpayer and $24,000 for a married couple filing jointly. If you itemize your deductions, how much they will reduce your taxable income depends upon your tax bracket. If you're single and make $100,000 per year, your top tax bracket is 24 percent. If you itemize, every $1,000 in deductions will take $240 off your taxable income (24 percent). So if you claim $30,000 in deductions, your taxable income will be reduced by $7,200 and will go down to $92,800. Your income taxable at 24 percent would then be reduced from $17,500 to $10,300 and thus reduce your tax from $18,289.50 to $16,561.50. If you take the standard deduction, though, your taxable income goes down to $88,000, and your income taxed at 24 percent goes down to only $5,500, reducing your total tax to $15,409.50. Tax credits are different from deductions. Instead of reducing your taxable income, they actually reduce your tax due, dollar for dollar. A $500 tax credit will be applied to $1,000 owed in taxes and reduce it by $500. So while tax deductions reduce how much you're taxed on, tax credits reduce how much you have to pay. If you owe $15,409.50 in tax after using the standard deduction, and you're entitled to a total of $1,500 in tax credits, your tax will be reduced by $1,500 for a total of $13,909.50. Some tax credits are nonrefundable; this means that you can only claim them to the extent that you owe a tax. If you owe $500 and you claim a credit for $600, your credit is reduced to $500 if it's a nonrefundable credit, and everything zeroes out. A refundable credit, on the other hand, can actually provide you with a refund. A refundable credit of $600 applied to a $500 tax bill will net you a $100 refund. Prior to 2018, the Child Tax Credit was a nonrefundable credit that you could supplement with the Additional Child Tax Credit, which was refundable. With the change in the tax law for 2018 through 2026, the Additional Child Tax Credit has been eliminated, and the Child Tax Credit has been rendered partially refundable. For 2018, the child tax credit is up to $2,000 per qualifying child, and up to $1,400 of that amount is refundable. However, you must have earned an income of some type to qualify for the refundable portion. If You Have No Income Can You Get a Tax Refund? Most people who don't have income also do not file tax returns, because they have nothing to report. If you do file a return but you have no earned income, you won't qualify for tax credits, and you won't have deductions because you have no income to reduce. If you're unemployed and receiving unemployment benefits, you may file a tax return, and based upon deductions, you may get a refund if you had the taxes automatically deducted. If you had no federal income tax withheld from the unemployment, you might end up having to pay when you file. You probably won't be able to use any tax credits if your sole source of income was unemployment, because "earned income" only includes income earned from employment or operating a business, and unemployment benefits don't fall under that umbrella. If you did work during the year at some point, however, you have "earned income" and can potentially qualify for a tax credit. If you don't work because you're retired, but you do have income because you're collecting distributions from a 401(k) or other retirement account funded with pre-tax dollars, you will have to file tax returns, because you'll be taxed on those distributions as ordinary income. In that scenario, you may be able to get a tax refund even though you're not working, because you are earning income and you are paying taxes. Can I Get the EITC Credit if I Have Received Income From My 401(k)?